Top Selling Product 1000’s Sold – Built to Last. 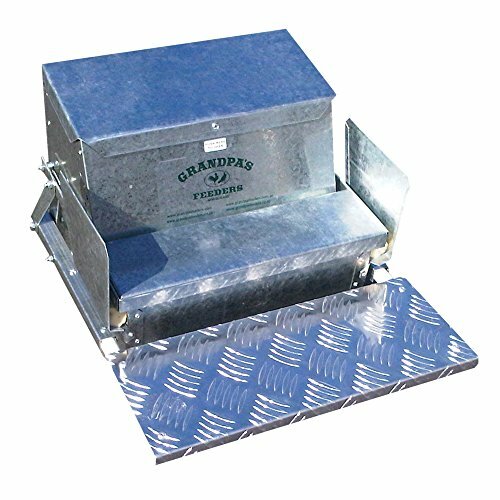 Grandpa’s Feeders Automatic Chicken Feeders provide a protected way of feeding your backyard chickens on demand. 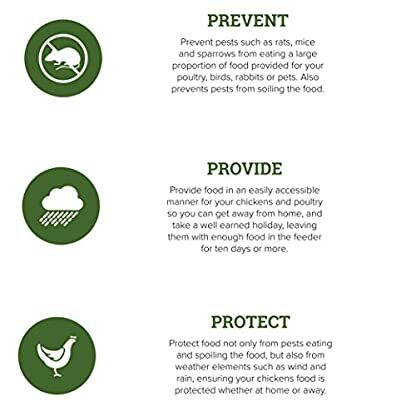 The clever design plays to the natural feeding behavior of chickens enabling them to access their food when hungry, ensuring optimal laying and happy chickens. Just as importantly you save on feed costs because wild birds, rats and mice can’t access the food and weather can’t spoil it. Grandpa’s Feeders are strongly constructed from high quality galvanized steel and aluminium. 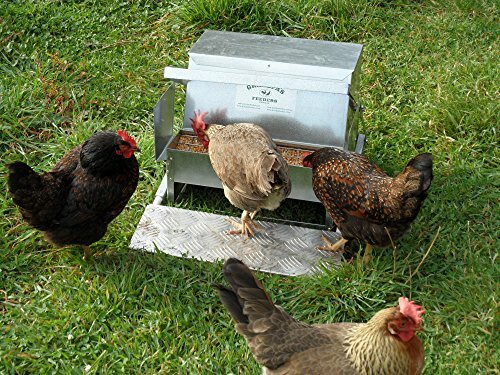 They are the original automatic poultry feeders sold around the world for twenty years. 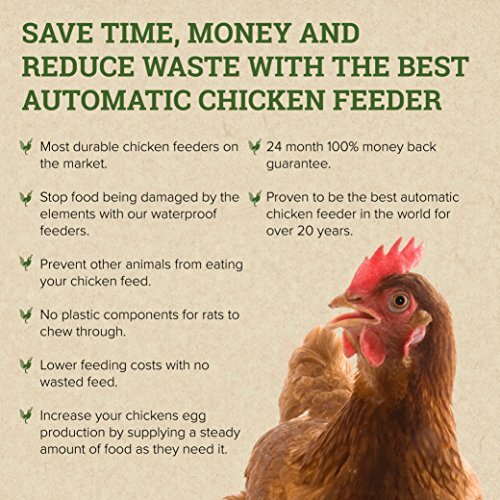 Many customers tell us that their Grandpa’s Feeder paid for itself in its first year simply by cutting down on their poultry food bill, not to mention the time saved not having to rush home to feed their chickens every day. How it works: Grandpa’s Feeders Automatic Chicken Feeders have a cantilevered lid over the feed trough. This lid is lifted by the weight of the chicken stepping onto an attached platform. This allows it to feed from the trough. Once the chicken steps off the platform, the lid closes to prevent wild birds, rats, etc. from stealing or soiling the food.